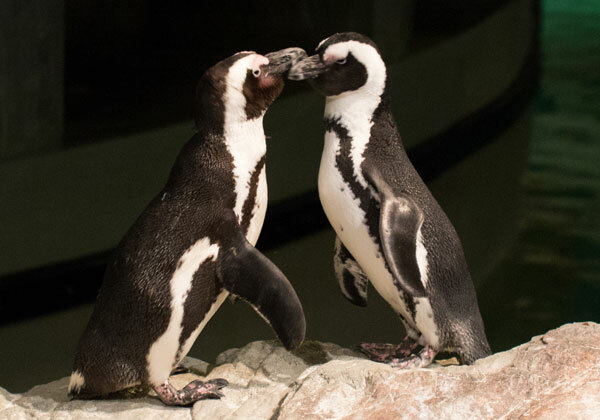 If you find yourself in the mood to find your perfect match this Valentine’s Day, you may be interested to know that the New England Aquarium works hard to make sure their penguins have a perfect match when it comes time for breeding season. 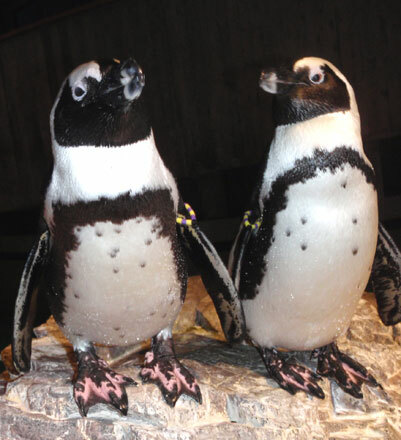 The Aquarium takes part in the AZA Species Survival Plan (SSP) for the African penguins, which are now listed as an endangered species. 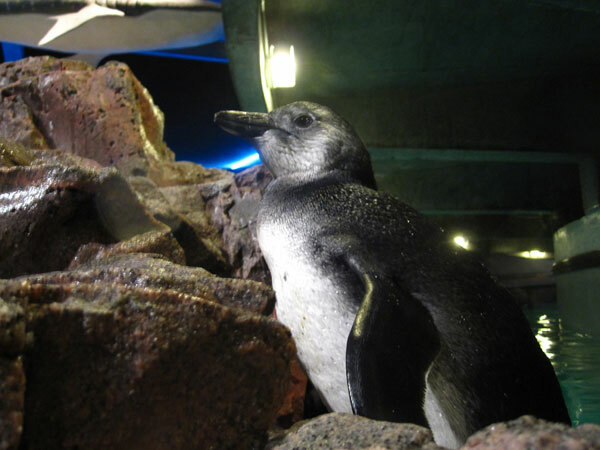 The SSP is comprised of AZA (Association of Zoos and Aquariums) accredited institutions housing African penguins and develops a breeding program that will produce the most genetically diverse population possible. The genealogy of every African penguin born in the SSP is known, and each penguin is ranked based on its genetic value. Every two years, members of the SSP get together and, using the rankings, decide which penguins would make the best pairings. Sometimes the penguins already live at the same institution, but sometimes they need to be relocated to other SSP institutions. Using these recommendations the Aquarium's penguin staff will begin the African penguin breeding season in the early spring. You can learn more about past breeding seasons here, and be sure stop by the penguin exhibit to see the juvenile African penguins (they are the penguins with the solid grey backs and solid white bellies) that were born over the last two breeding seasons along with all of the other penguins.